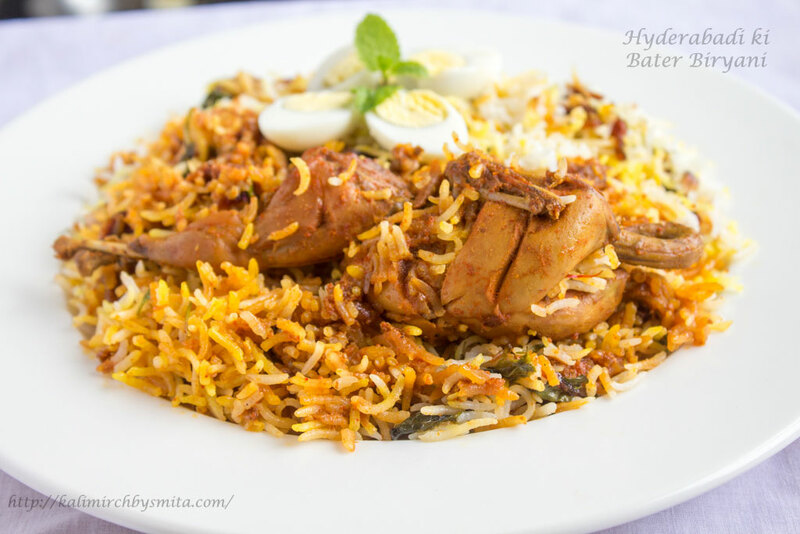 Prawns Biryani is a delectable one-pot meal that combines flavorful long grain cooked rice, succulent prawns cooked in subtly spiced and aromatic gravy and slow cooked till perfection following magical Dum method of cooking. 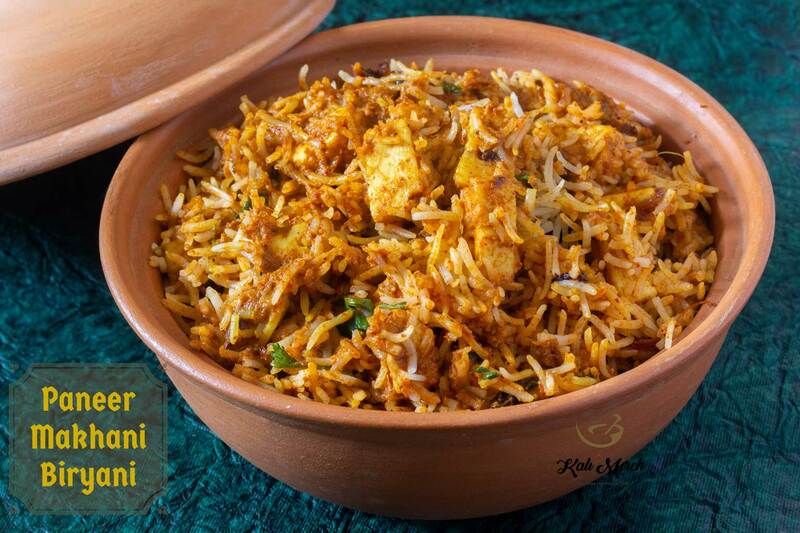 Sit back and witness the magic of Biryani unravel on the awestruck faces of your family. 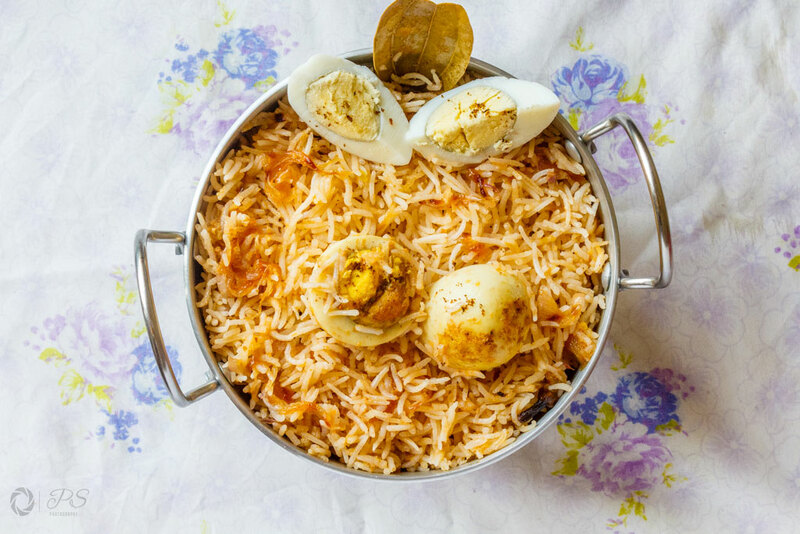 While it may seem that the world of Biryani is replete with choices when it comes to non-vegetarian Biryanis, with balance tilting far too much in its favor, Vegetarian Biryanis too have some interesting, piquant and delicious options. 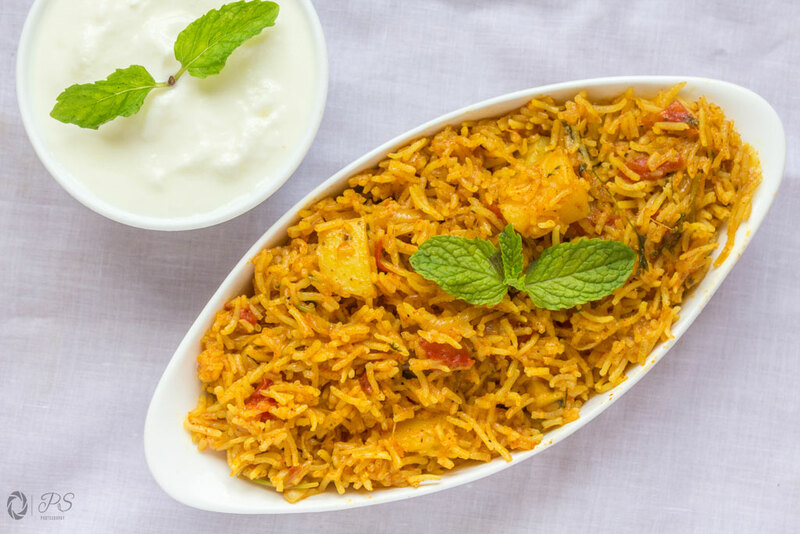 Akkha Masoor ki Biryani is an interesting alternative to the usual Vegetable Biryani. 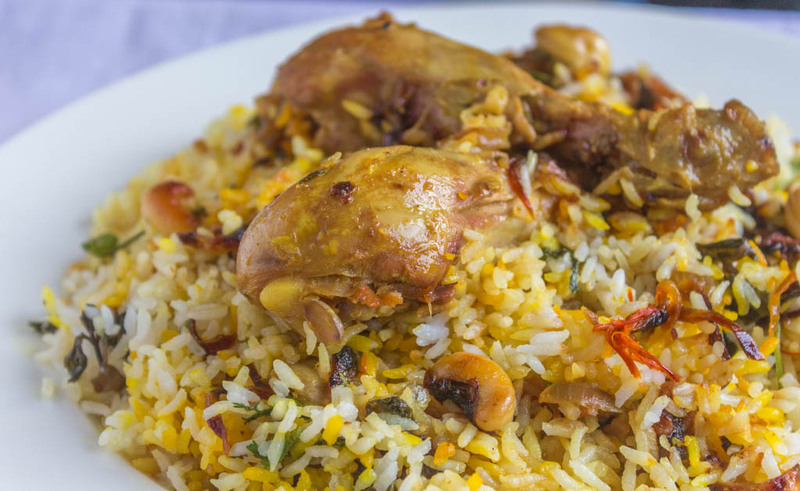 Biryanis have always evoked a feeling of child-like fascination and excitement in me. This could be possibly due to the dish bearing a close connection with the royalties. The royals and their folklore has always been a part of Indian tales and we have all grown up listening to these stories. 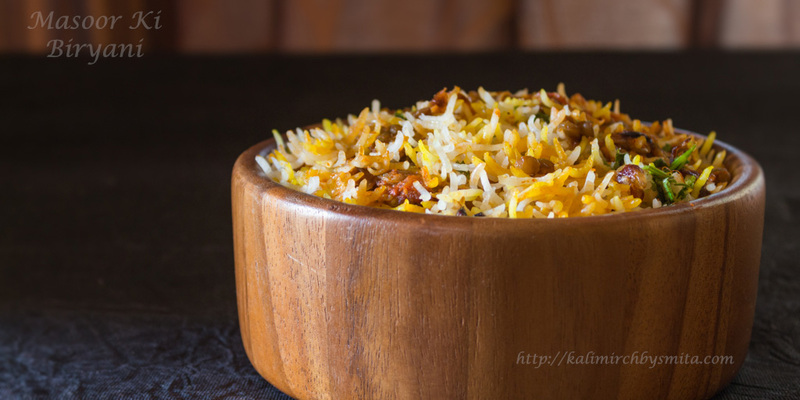 Biryani a dish that supposedly originated as a princely dish and migrated from royal kitchens to commoner’s kitchen or a dish that is described in words of noted author of ‘Biryani’, Pratibha Karan, as God’s food is as enigmatic as any dish could be. Quite frequently, a recipe request that we often come across in the comment section of this website and on our YouTube channel is for a one-pot meal. Often, our viewers and readers are on lookout for such recipes that are not only quick to make but filling as well. 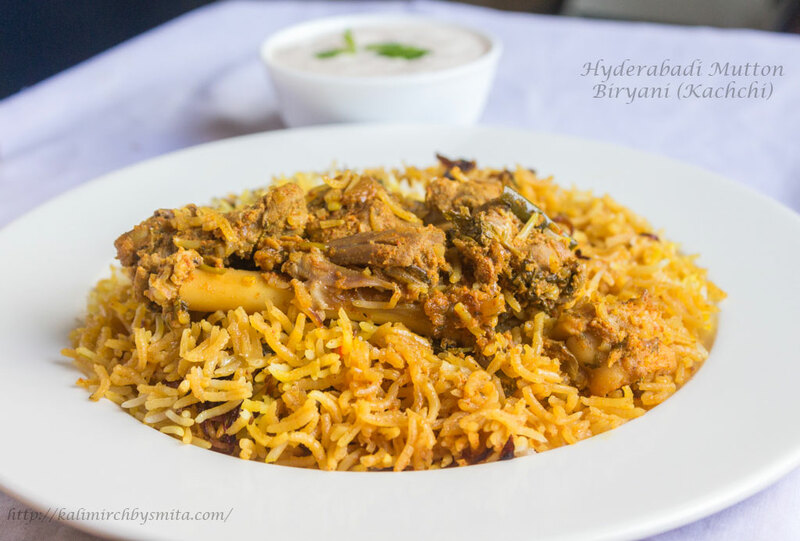 One of the recurring grumbling that one would hear about Biryanis is that it is one of those dishes that requires great deal of patience and warrants an extensive list of ingredients and an elaborate preparation. Food is no longer an object of sustenance that would appeal only to gustatory perception. Advent of social networking platforms like Twitter and Instagram has rapidly altered the scene so much so that visual delight that food must offer has attained far greater significance now.